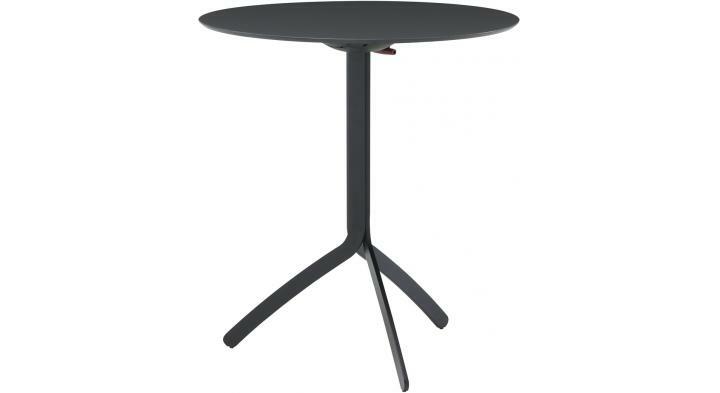 CONCEPT: Usable both indoors (in the corner of a kitchen, occasional pedestal table) or outdoors (on a terrace or in the garden), the Noomi table combines a minimalist lacquered steel base with a round top made from Fenix HPL laminate. 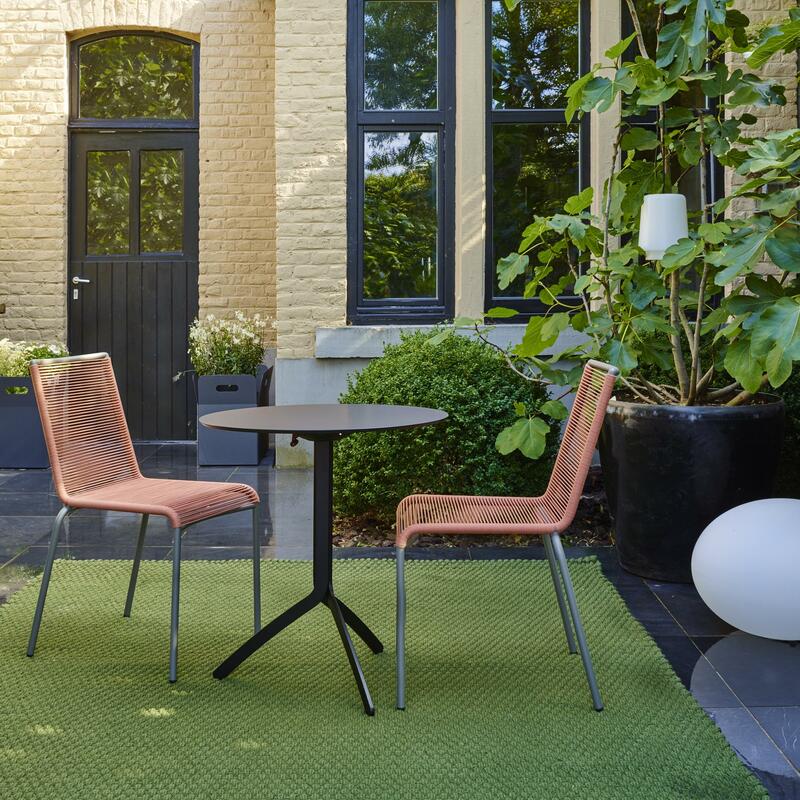 This table is characteristic of the tables found in pavement cafés, yet in a modernised, pared-down form. 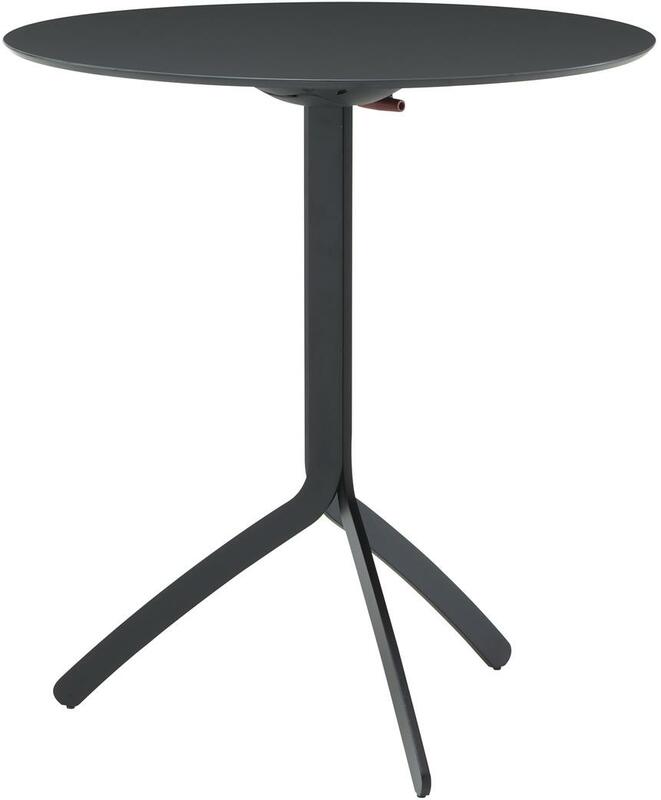 Its folding top brings added compactness, enabling it to be stored more easily when not in use, or protected from bad weather when used outside. 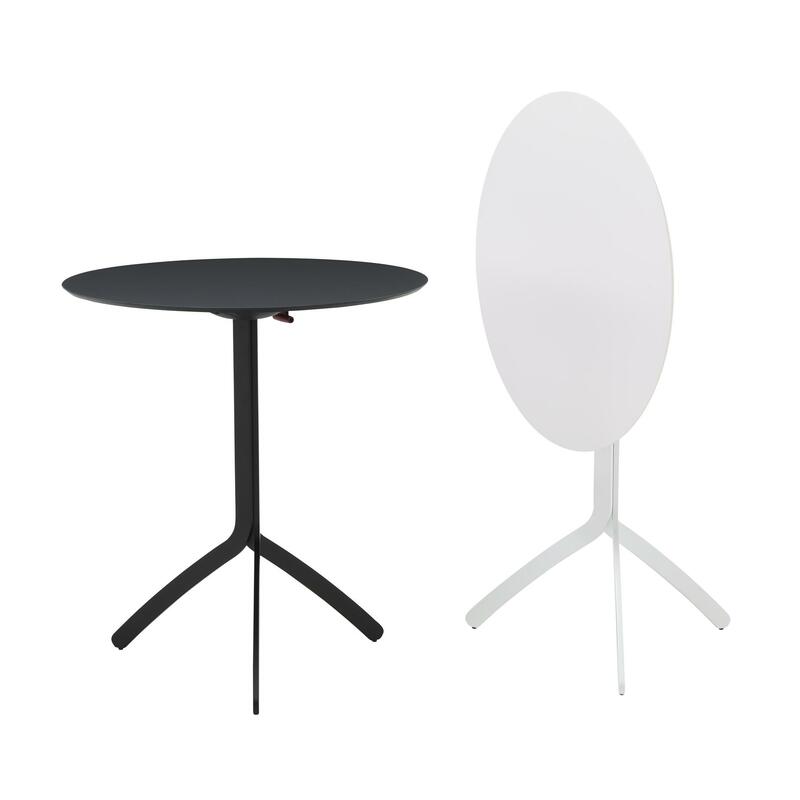 QUALITY OF MANUFACTURE: Base in black or white lacquered (outdoor-quality, double layer) laser-cut steel with textured finish. 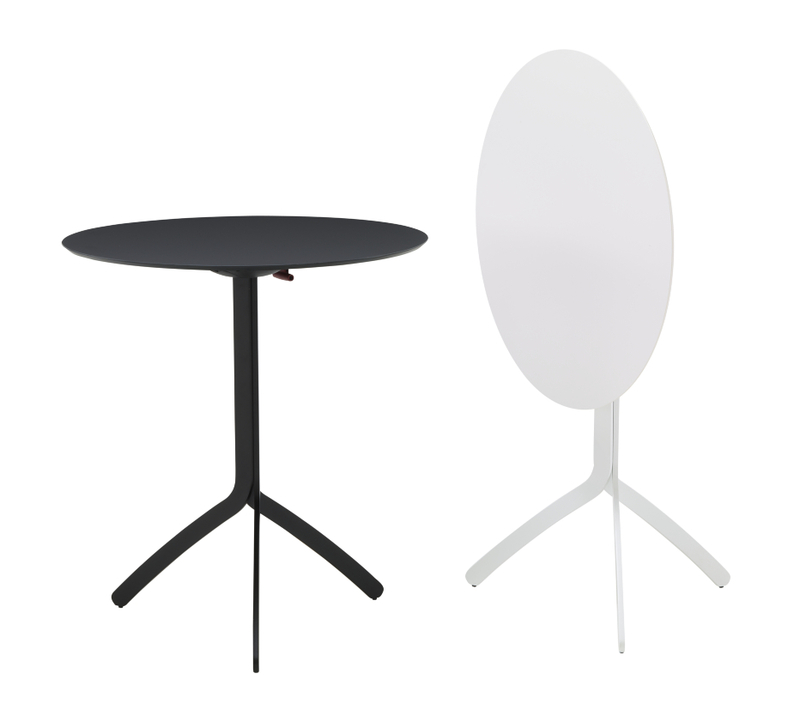 Circular top in 10 mm thick black or white Fenix HPL laminate (indoor use) folds for ease of storage. Robust mechanism in outdoor-quality charged polymer.